Since our overlords commanded it, so mote it be! 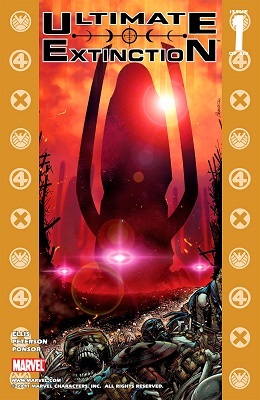 Here are two scenes from Annihilation: Conquest: Quasar between Phyla-Vell and Moondragon. 6 of 22 pages from issue 2, and 3 of 22 pages from issue 3. WARLOCK AND THE INFINITY WATCH: Drax then and now? WARLOCK AND THE INFINITY WATCH #13 features a fight between Drax the Destroyer and the Professor Hulk. This is when Drax was child-like (as a result of being resurrected via the Soul Gem) and when the Hulk was smart (either merged Hulk or a brand new alternate personality, depending on who you ask). Some speculation about the new GUARDIANS OF THE GALAXY movie and its connection to the greater MCU after the cut. 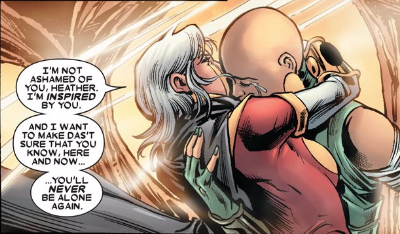 And Moondragon has a badass Professor X impersonation. Realm of Kings continues as more fallout from the Fault pours through. CosmicBookNews has the wordless preview of Guardians of the Galaxy #21. And is that isn't enough, a very spoilery cover to #22, too, behind the cut. This book's been really solid all the way through, and it has a knack for funny panels.